Rewoven is topographic to the touch. 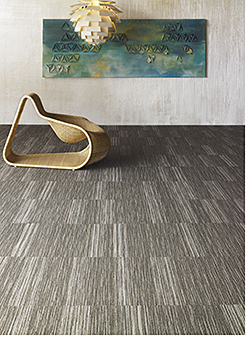 Available in three carpet tile and two broadloom patterns, in 12 colors each. Each pattern is Cradle to Cradle Silver Certified and uses fiber with 45 percent recycled content. Tile backing is recyclable, PVC-free, and contains 44 percent recycled content.